Caddy Electrical is great at 'watt' we do! Caddy Electrical takes 'charge’ of all your electrical safety! Electrician Mornington. Based on the Mornington Peninsula, Caddy Electrical provides expertly trained and experienced Electricians for industrial, commercial, and domestic electrical work. We service the Mornington Peninsula and south eastern suburbs providing a reliable and safe service for a range of electrical needs. Are you seeking contractors who can assign a domestic electrician or even commercial electricians for a job that is specific to your industry? Are you concerned about power consumption and your electricity bills? Do you want an experienced residential electrician to inspect and check all your lighting and power circuits? We have on board a domestic electrician in Mornington, industrial electricians, and commercial electricians who have the required expertise. We can organize safety switch installation, tagging and testing, switchboard upgrades, lighting, electrical installations, solar installation and solar maintenance. We can schedule regular maintenance of your appliances, smoke detectors, and have a 24 hour emergency service so you won't be without power. Other work includes telephone, and internet wiring, and tv reception. When it comes to some specific services like fitting safety switches or any type of safety installation that is industry-specific or segment-specific, like the industrial, commercial, or domestic segment, then accordingly Caddy Electrical will refer an industrial electrician Mornington, commercial electrician or even domestic electrician from Mornington to take care of the job. We also offer emergency electrical services for your house or building for which our domestic electricians or our Mornington electrician is just a call away. Are you looking to reduce your electricity bills? Caddy electrical can help with your solar installation with a free quote and help you to decide the best way to reduce your electricity bill. We also service solar panels and complete annual checks on the health of your solar system. If you have a faulty inverter caddy electrical can repair or replace these items. If you reside in Melbourne or surrounding suburbs like Mornington and if you are seeking a Mornington electrician for some electrical service work in your house or if you need electrical work on a bigger scale in Mornington, then touch base with our industrial electrician, commercial electricians, or even our residential electricians based on the Mornington peninsula. 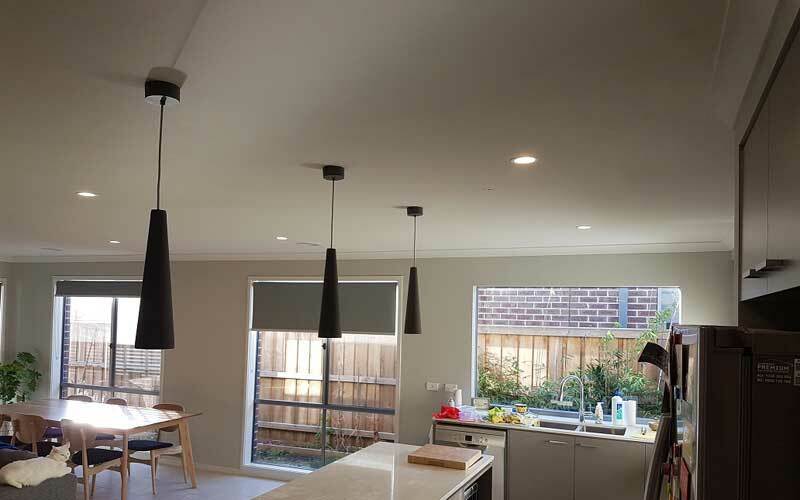 For free quotes, or any power and electrical service around the Mornington area, contact the contractors on the Mornington peninsula. Write to Caddy Electrical at cad2009@outlook.com or speak to your new Mornington electrician on 0499 187 048. Now offering a convenient 24 hour on call emergency service for the Mornington Peninsula and South East of Melbourne. Need an electrician? Think Caddy Electrical. Electrical services, installation, upgrades, maintenance, repairs and changing electrical appliances and systems and 24/7 emergency electrical services are all taken care of by Caddy Electrical. If you want complete, clean energy solutions, then Caddy Electrical is who you should reach out to. Solar energy, an excellent source of energy and also a renewable energy is ideal..
our maintenance team can help your business anytime to complete repairs, replacements and eliminate any future electricity problems. We install phone, data and internet services. connecting businesses and homes with strong wifi signal. Caddy Electrical can take care of any electrical emergency 24/7. Day or night we are there for you. We provide an after hours electrician should you require. RCD's and smoke detectors are an important component to your home and provide your family with a safe home. This prevents electrocution, protects circuits and can save you and your family. Count on Caddy Electrical for domestic and commercial electrical installation services. Get the job done right, not just the first-time but every time! Tagging and testing is a form of visual inspection and electrical testing of electrical gear and equipment to ensure electrical safety and security. Caddy Electrical has qualified, certified electricians to tag and test. In order to avoid any electrical accidents, short-circuit, the electrical fuse giving way, and for safety sake, timely switches, switchboard upgrades and replacements are advised. Whatever type of lighting you want installed in your home or office like general lighting, accent lighting, ambient lighting, track lighting, garden lights and more, Caddy Electrical will handle it.
" Caddy Electrical was Prompt reliable and a safe company to deal with thanks for the new dishwasher and lights a very professional job"
Thank you to Chris and Josh, fantastic service that we couldn’t fault. So professional, a cut above the rest. Thanks to Caddy Electrical. Yesterday I called them for Electrical Quote and the job was completed within approx. 3 hours of the quote being accepted. Their customer service was too good. Highly recommend the services and professional nature of Caddy Electrical. I found both quality in service and cost to be first rate. I have been working with Chris for the last 4 months servicing our rent roll. In this time I have found Chris to be very reliable, providing a professional service in a timely manner. Couldn’t recommend Chris high enough. Caddy Electrical is available to assist you for all of your electrical needs. We are a newly established electrical contracting business located on the Mornington Peninsula.